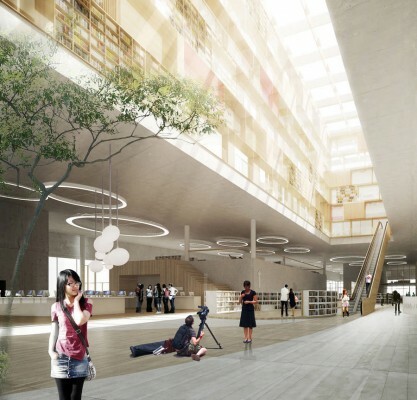 schmidt hammer lassen architects has been announced 1st place winner in the competition to design a 30,000 square metres central library in Ningbo, China. Located in the heart of Ningbo New East Town the new library sits on the edge of a new ecological wetland area which will form a new cultural hub of the city. 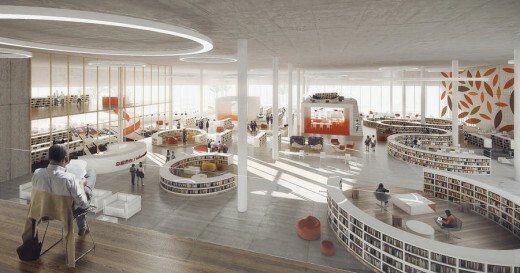 With its open and accessible design the winning proposal makes it possible to display the library’s collection of more than 2 million books and double the number of daily visitors. Founded in 1927, the Ningbo City Library holds the largest collection of historic and ancient books in the region. The old library attracts 3–4,000 visitors daily. The aim of the new library is to increase the number of visitors to 7–8,000 per day. To deal with this increase the new library will be organized with an open plan layout containing 3,000 study spaces. In the heart of the library is a central atrium in the form of a giant book stack containing study desks, reading booths, internet stations and media spaces. This generous 28-metre-high space connects the marketplace at ground floor level with a series of quieter research spaces and the historic collections above. The atrium provides natural light to the centre of the building during the day and acts as an urban lantern at night. 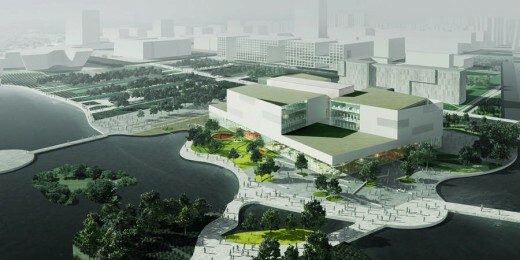 “The new library project is part of a transformation that the city of Ningbo is currently undergoing. 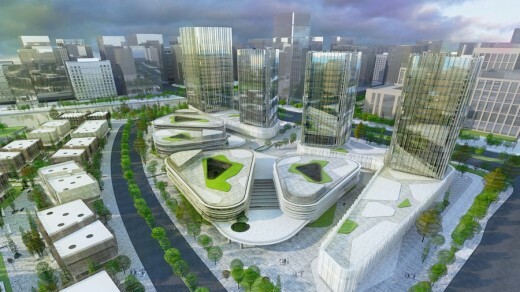 Our proposal sits at the heart of the new town’s first phase immediately next to the new headquarters for the Ningbo Government. 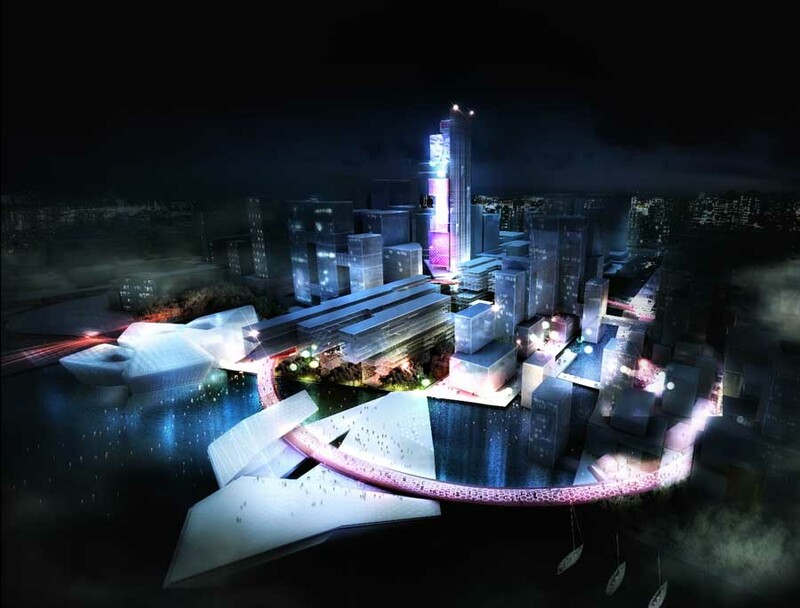 This location alone shows the importance the city has placed on its new Central Library,” said Chris Hardie, associate partner and head of schmidt hammer lassen architects’ Shanghai office. From a sustainable viewpoint the library design maximises the use of passive solutions over technological add-ons. For instance the use of natural daylight in all interior spaces is optimized through the building orientation. Natural ventilation will be maximized through the central atrium and the structure of the building will consist of exposed concrete to optimize thermal stability during hot summer months and cool winters. 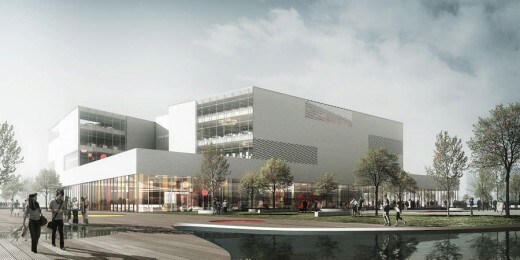 Ningbo New Library is the first library designed by schmidt hammer lassen architects in China. It joins an impressive list of libraries designed by the studio: 8 completed and 4 currently under construction. Best known is the Royal Library in Copenhagen, which has set new standards for academic libraries all over the world. The most recently completed library is the Aberdeen University New Library, which received a RIBA Award in 2013. Under construction is Aarhus’s new public library – Dokk1, which will become Scandinavia’s largest library, and Halifax Central Library in Canada. Both are due for completion in 2014. Ningbo is one of China’s oldest cities and a historic coastal hub located 3 hours south of Shanghai in the Zhejiang region. With a population of 7 million it is one of the strongest economies in the area. The triangle area south of Shanghai, also including the city of Hangzhou, is one of China’s most important and prosperous regions.